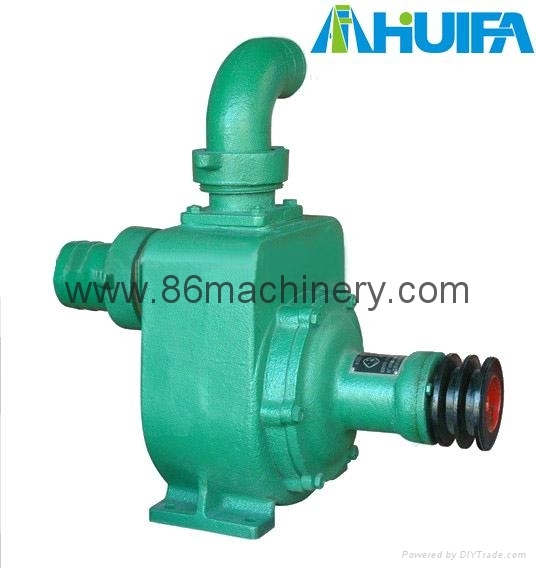 Self-priming pump is different with centrifugal pump, it should be fulled with water before start, then the impeller rotates with high speed under the engine, when the impeller turns,the water pressure at the entrance of impeller reducing and the entrance of the impeller lower than atmosphere pressure. While the water pressure along the direction of impeller radius ceaselessly rising and outdistance atmosphere pressure, formed a certain suction in water inlet. Under atmosphere pressure, the lower water push the inflow valve, enter into pump case along water inlet, dumped into water outlet by impeller.